Mixability Award. Mixes better than any other whey protein. Gold Standard Whey amino acid profile (per 100g of protein). [Optimum Nutrition] Gold Standard Whey review. Summary: ON Gold Standard Whey is a tremendously popular whey protein supplement. It's ranked #1 more than any other whey. It's rammed full of protein and quality, and it's one of (if not the) best whey protein powders on the market. If you've done any research on whey proteins you've certainly ran in to the name "Gold Standard Whey" a few times – and that's for a good reason. It's a top quality whey supplement and everyone loves it – for even more good reasons. Basically, ON Gold Standard Whey not only ticks all the boxes, it's usually the best (or at the very least one of the best) in those boxes too. Allow me to confirm that you've made a smart decision to buy a tub of this stuff. The quality of the ON Gold Standard Whey protein powder is exceptional. If you searched the Internet for the "best quality whey protein" you'd find ON Gold Standard Whey turning up as the answer time and time again. Why is it so good? Because it contains a very high level of protein (76.90g/100g) whilst keeping the fat and carbs content low, which is exactly what you want from a whey protein powder. There are few whey proteins out there that rival ON Gold Standard Whey in terms of nutritional quality. Annoyingly, once you start using Gold Standard 100% Whey you'll begin to feel bad about taking other protein powders. With the top-notch quality and flawless mixability (sorry about the spoiler), you'd forgive ON for making a whey protein that tasted like the head of a warm pint of lager. However, it doesn't. In fact, it tastes awesome. It tastes so good that you'll want to try more than one of the 500 (ish) flavours they have on offer. It's not the absolute best-tasting whey protein I've ever tried, but it is nice enough to look forward to – a title that not a lot of whey powders achieve. It's the kind of taste that you don't mind savouring, as opposed to shoving it down your neck and hoping your taste buds don't notice. I think the taste is a little overrated in other reviews I've seen, but not by much. The fact that it's not the ultimate whey for taste is probably a good thing, otherwise other whey protein companies might just pack up and leave supplement town. 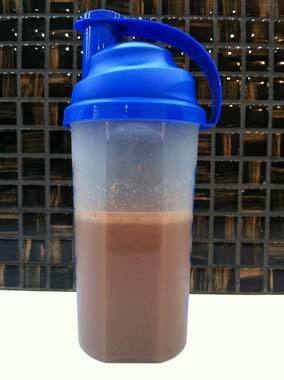 Gold Standard Whey Mixability: 50g of powder + 400ml of water. Magical. If protein powder had feelings, Gold Standard Whey would smile when you mixed it with water. When you crack open the tub for the first time you will notice that the powder is different to most other whey protein powders. It's more like sand than powder. You'll find that this is an incredibly useful trait, as it saves you from having to deal with fluffy powder floating all over your kitchen and being a nuisance in general. The sandy consistency is so much easier to deal with, and if you've ever used other wheys before you'll be as thankful for it as I am. I know "powder annoyance" is hardly a make-or-break thing, but it's an added bonus that you'll notice and enjoy. See how much tidier ON Gold Standard Whey powder is compared to normal whey powders? But anyway, what's the actual mixability like? Well, put it this way, the only way it could have better mixability was if it mixed itself. Honestly, I can get a smooth mix with minimal froth after just one shake of the shaker, and that's without the grill bit. 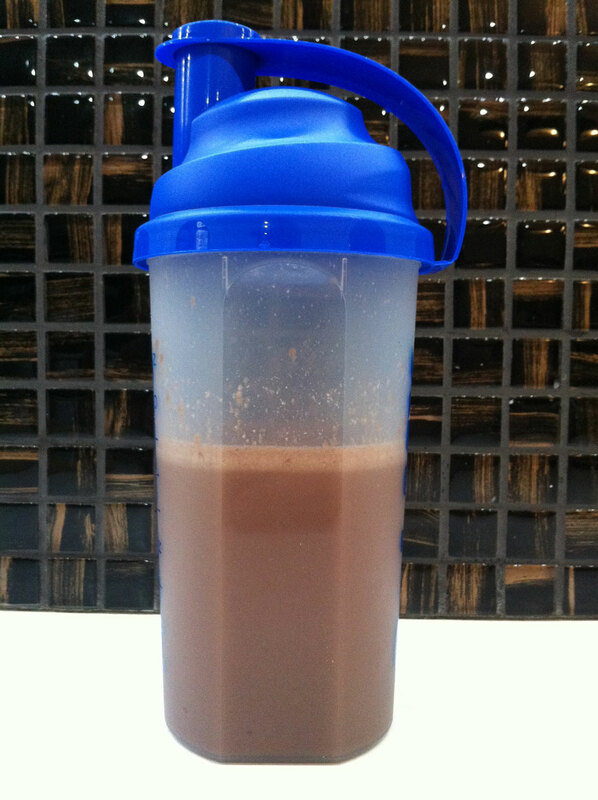 It would be a challenge to make it so that it doesn't mix better than 90% of protein powders. I could easily write an essay on how impressed I am with ON Gold Standard Whey's mixability, but I think I'll just wrap this up with two words to describe it; easy and flawless.